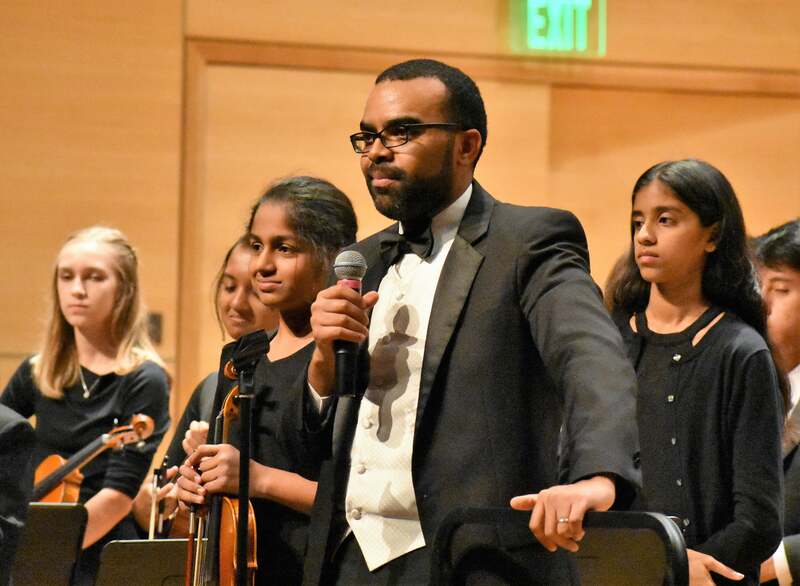 Philharmonic Orchestra, the intermediate full orchestra led by Conductor Jason Jerald, is comprised of talented student musicians from the Tampa Bay area. This orchestra provides an intermediate full orchestral experience featuring exclusive training opportunities with Florida Orchestra musicians in sectionals, weekly rehearsals that focus on technique, ensemble performance skills, and intermediate full orchestra repertoire. Students in the Philharmonic Orchestra will perform two concerts a year and are encouraged to participate in TMYO community outreach concerts scheduled throughout each season. 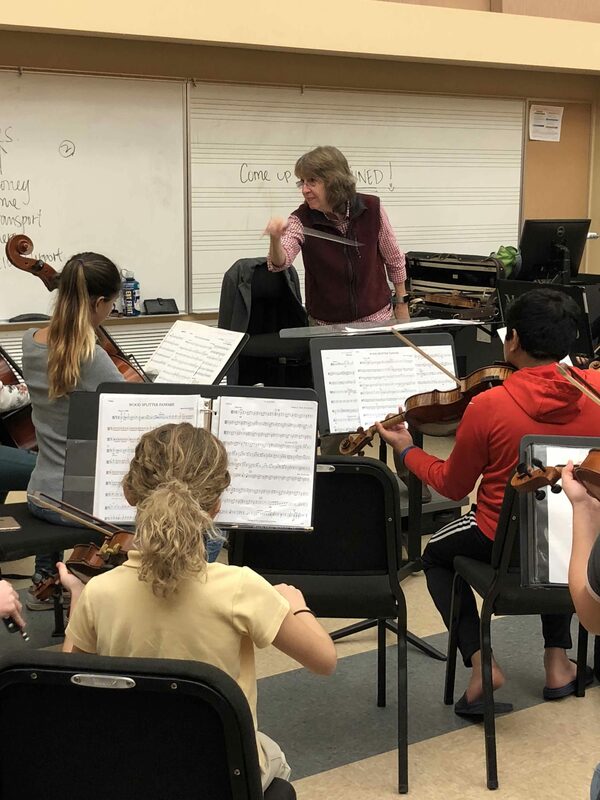 Symphonic Strings, led by Sandy Neel provides string orchestra training to predominantly middle school-aged student musicians who read music and have at least three years of playing experience on their instruments. This orchestra provides an intermediate string orchestral experience featuring exclusive training opportunities with Florida Orchestra musicians in sectionals, weekly rehearsals that focus on technique, ensemble performance skills, and intermediate string repertoire. Students in Symphonic Strings will perform two concerts a year and are encouraged to participate in TMYO community outreach concerts scheduled throughout each season. Symphony Orchestra is the flagship full orchestra led by TMYO Music Director Dr. William Wiedrich and comprised of talented young musicians in the Tampa Bay region. Students have the opportunity to hone their skills while performing the most advanced orchestral repertoire and exciting new works by contemporary composers. Students are given exclusive training opportunities including sectionals work and technique coaching with professional Florida Orchestra musicians. Students in Symphony Orchestra will perform two concerts a year, perform a side by side concert with the Florida Orchestra, and are invited to enter the annual TMYO Concerto Competition. Symphony Orchestra students are encouraged to participate in TMYO community outreach concerts scheduled throughout each season. 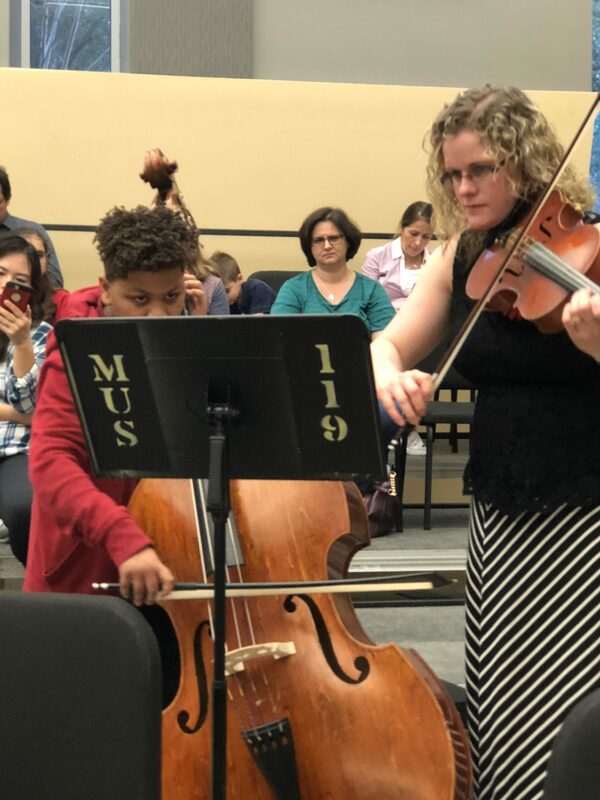 String Concertino, led by Colleen Strom, provides entry-level string orchestra training to student ages 6 and up who wish to gain confidence, experience, and ensemble skills with other musicians. Their season includes two performances and weekly rehearsals that focus on technique, ensemble performance skills, basic string repertoire, and music theory. Students in Symphonic Strings will perform two concerts a year.